Log in to share your scores on Facebook and Sporcle.com. Earn Knowledge Stars and compete with your friends and the world through GameCenter. Track your improvement with your saved play history. See which games you’ve played and your best scores. Don’t want to wait until tomorrow for a new quiz? Buy a game pack have fun for hours! 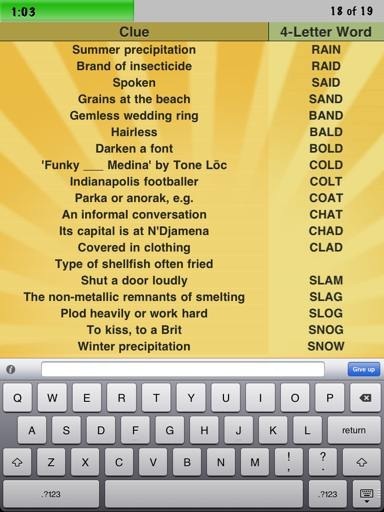 This game is very basic, with no bells and whistles – it’s just word ladders. And that’s just perfect – it doesn’t need any. The word ladders themselves are more than fun and challenging enough on their own. Play Latest: just as it sounds, takes you to the latest word ladders from today and four days back. Each day a new one is added. All Games: Access to on Starter Pack of ten more games and seven further game packs with 50 games in each which can be bought via In-App purchase for $0.99 each. Settings: Here you can create a new account with Sporcle or sign in with an existing one, or send feedback to Sporcle. It’s a free app but it comes with some quite intrusive full-screen video ads. I say they’re intrusive because they popup between each game and cannot be swiped away or close until they play all the way through. You can get rid of these with an $0.99 In-App purchase. I’ve only had the game a couple days, but I’ve already burned through all the latest games, the Starter Pack and Game Pack 1. I’ll certainly be buying more game packs very soon. The word ladders are incredibly addicting and this is one of the very best word games for the iPad. 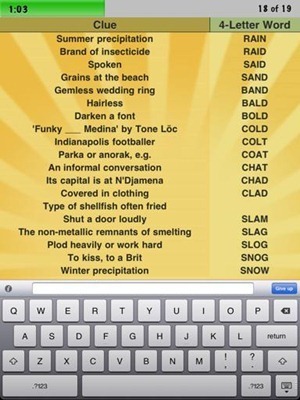 If you enjoy word ladders, or word games in general, then you really need to give this game a go. 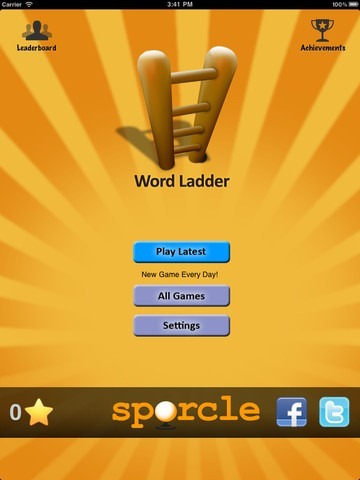 Here’s an App Store link for Word Ladder; it’s a free app with In-App purchases as mentioned above.